My eye makeup is smudgy from being out late and then coming home and crying - my friends threw me a surprise party yesterday, and I am just now getting home at 3:30 AM to find a long e-mail from my best friend Jill. The party was nice but stressful, and I thought about Jill a lot during the party without even knowing what awaited me at home. I mentioned a few weeks ago that we had not spoken in months for seemingly no reason, and this letter explained a lot. Lots of misunderstandings on both parts, it seems. I miss her so much that it hurts, and so this was very good to receive. I'm gonna sleep on it and reply later today, but I am glad to know things are headed in the right direction. Of the 72 pounds I have lost, 59 have been during this challenge! Progress on my DDGbG goals: Delicious recipe this week - zucchini boats! Preheat the oven to 375º. Scoop the insides out of however many zucchini you want to make, then chop up the innards and mix it up with one lightly beaten egg, some meat, spices, and other veggies - the recipe is easily adaptable to whatever flavors or quantities you want to make - mine were spicy Italian, made with mushrooms, tomato sauce, and hot turkey sausage. The quantities will vary based on size and quantity of zucchini - I did three small ones, so I only used a link and a half of sausage, and there was quite a bit of mixture leftover (which I heated up in the pan and had the next morning for breakfast! Yum!). Fill the zucchini shells and lay them in a baking dish that has 1/4" of water in it, and bake them for about 20 minutes (if your squash are bigger, you may need more time). Put some cheese on the tops (I peeled one string cheese and distributed the shreds among all of my zucchini boats), then bake for another 10 minutes or so until the cheese is melted. Absolutely amazingly delicious (even cold the next day!) and totally easy to make - I think even my family would like it! This recipe is definitely coming to Connecticut with me. ONE thing that you are proud of for the week: Keeping my unexpected birthday party snacking to a minimum - they all know I'm trying to lose weight, so there were lots of fresh veggies! ONE thing that you can improve upon for the following week: Besides my first meeting with my therapist, fixing my relationship with Jill is my top priority. She's my best friend, and grieving what I assumed was losing her has made the adjusting of emotional weight loss even more challenging. Yay for surprise parties! That's awesome you got one too! I hope you can mend your relationship with Jill - Growing apart from friends is extremely difficult, and when you can fix what's broken... nothing feels better! I'm glad you had a great birthday!! Those look very tasty! I might have to give that a go in one of my challenges further down the line (i'll wait till everyones forgot about them from your post! hehe). 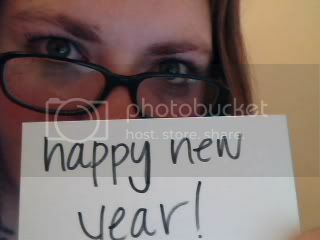 I'm so glad that you have a message from Jill! 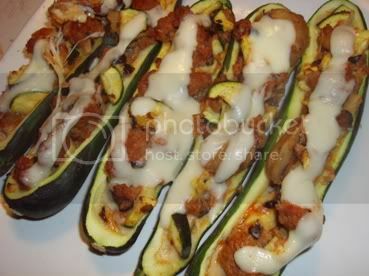 okay, I'm making zuchini boats...I think my kids would like them. Ugh! I hate it when there is an unknown wedge within a relationship. I'm recently going through that myself and it is so stressful (and sad). I'm so glad to hear that you two have reconnected and cleared the air. Good luck to you both. It sounds like it is definitely a relationship worth saving.